Packaging and literature as per standard sets (same cartons and catalogues and instructions sheet). Die-cut inners for 651 and 653 (this should have read 651, only) - same as CTS 3. Die-cut inners for 652 and 654 (this should have read 652, 653 and 654) - to be determined. Quantities confirmed to be checked before ordering additional packaging supplies. Expected to be assembled after first portion of standard sets. As has already been mentioned, the Special Train Sets were produced for the Christmas market. 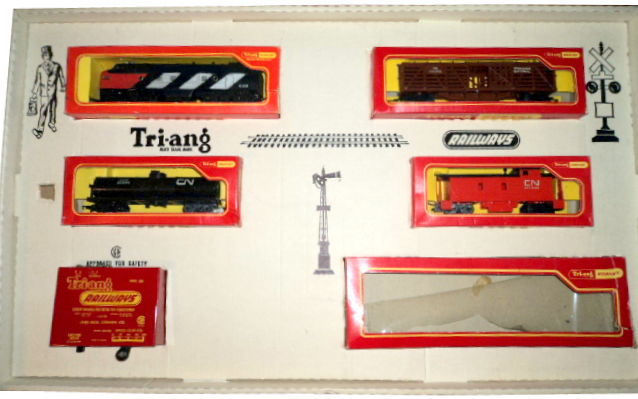 Packaging was in exactly the same format as the 1965 Standard Set boxes. 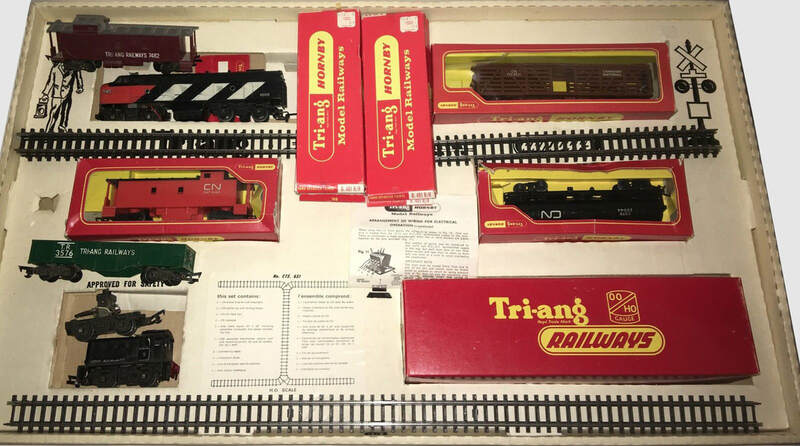 The set was composed of the R.55 CN Diesel Loco, R.126 CN Stock/Cattle Car, R.342 CN Car Transporter, R.115 CN Caboose, R.167 Track Pack and PA.102C Transformer. ​A very surprising late version of this Special Train Set with revised set contents has just come to light (January 2017). 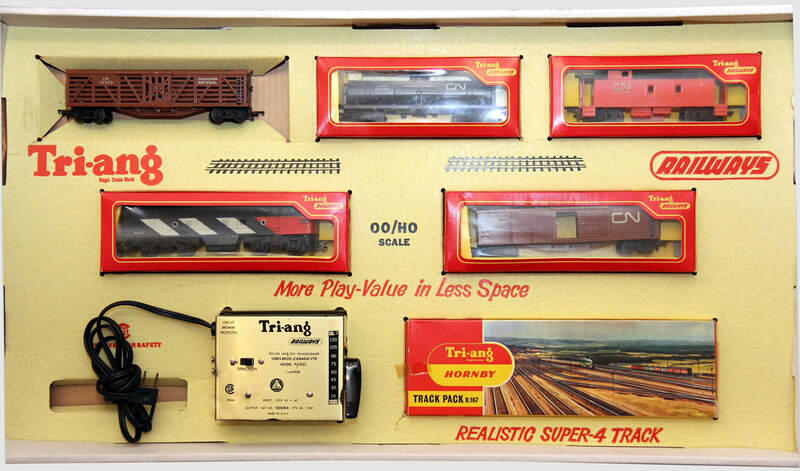 This set was produced in the 1966-style set packaging and featured the black CN Oil Tanker replacing the CN Car Transporter. Also, the transformer would have been the new Model 2200 version which had just recently been introduced. Both, set box lid contents label and box inner tray contents label confirm the revised set contents as being for Set No. 651. 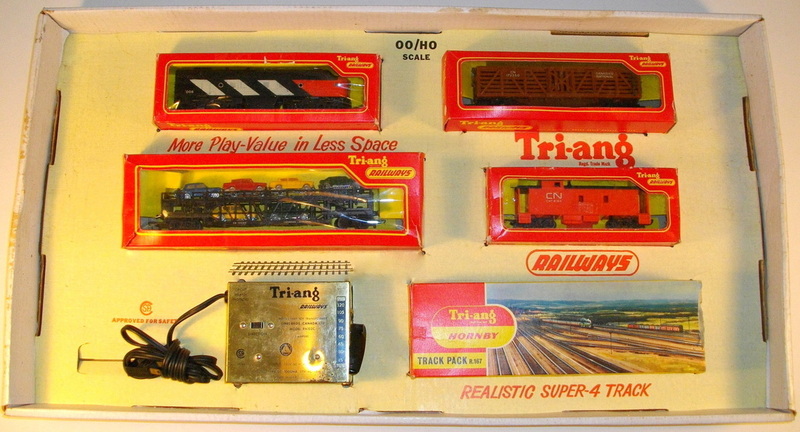 The revised set was composed of the R.55 CN Diesel Loco, R.126 CN Stock/Cattle Car, R.117 CN Oil Tanker, R.115 CN Caboose, R.167 Track Pack and Model 2200 Transformer. The set was composed of the R.55 CN Diesel Loco, R.117 CN Oil Tanker, R.342 CN Car Transporter, R.115 CN Caboose, R.167 Track Pack and PA.102C Transformer. At least three examples of this Set No 652, supplied exclusively to T. Eaton Co. Limited, are now known to have survived. 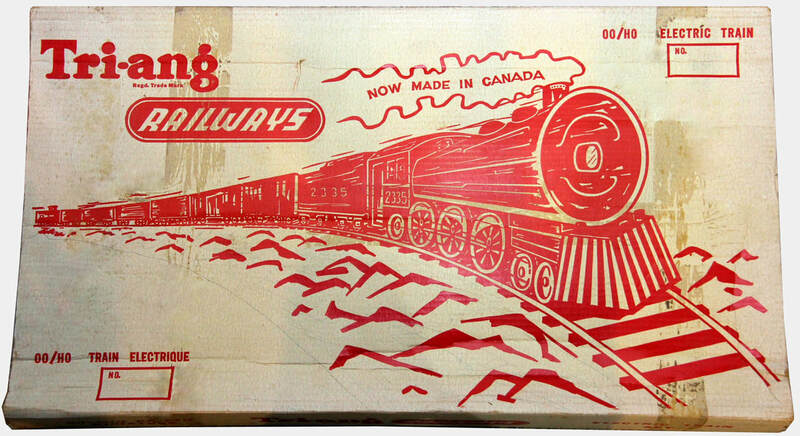 They all have the 1st Type (Original) 1965-style box outer sleeve which carries the incorrect 'NOW MADE IN CANADA' slogan above the locomotive. The R.117 CN Oil Tanker used in the sets was the black liveried version of the model. 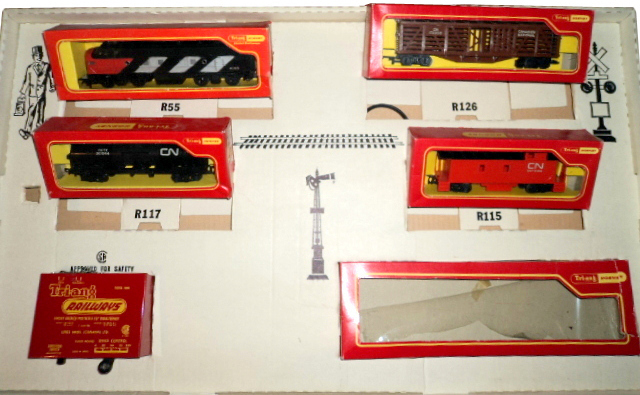 The originally issued set was composed of the R.55 CN Diesel Loco, R.126 CN Stock/Cattle Car, R.117 black CN Oil Tanker, R.115 CN Caboose, R.167 Track Pack and PA.102C Transformer. A rare discovery: this particular set is contained within a 1966 issue set box. 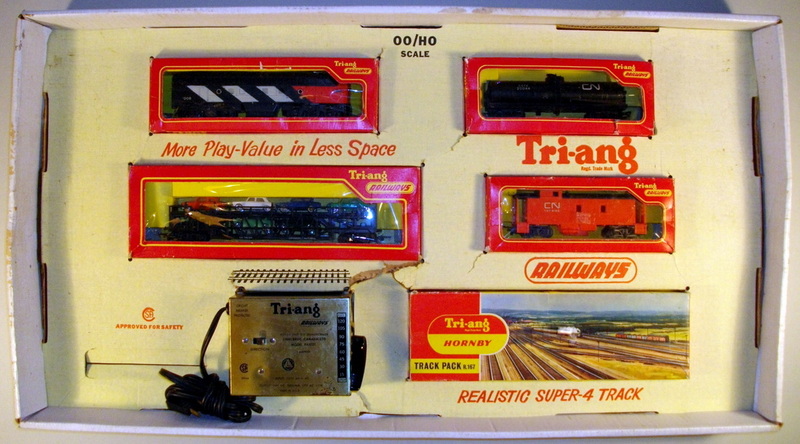 Included is the R.167 Track Pack with the later style window box and the correct Model 2200 Transformer. It would be reasonable to assume that Set No 653 was orginally supplied in the 1965 style boxes, as per all the other 1965 Special Train Sets. The set must have been popular and it would appear most likely that Simpsons and Simpsons-Sears placed a further order for more sets sometime during the first half of 1966. 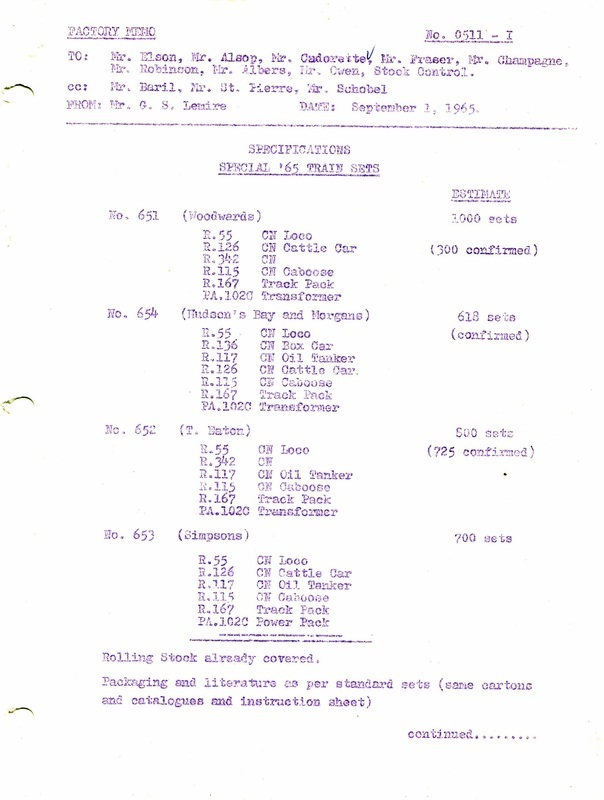 Note that there is no set contents label affixed to the inner tray. 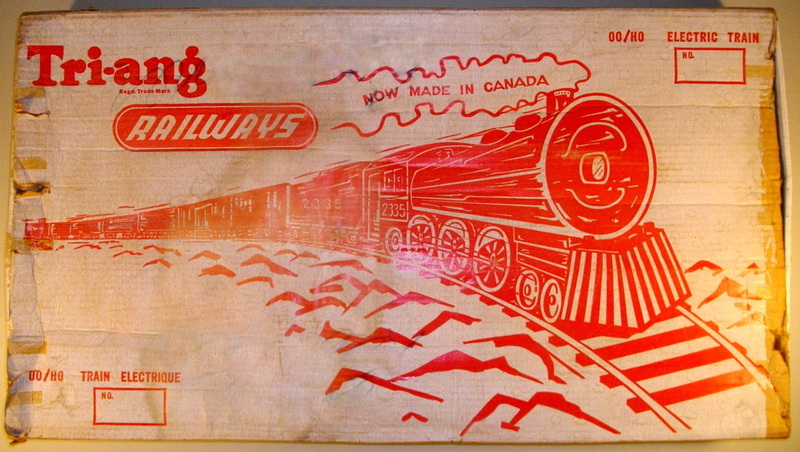 Recently 'discovered', the existence of this Special Train Set only came to light in early November 2008. 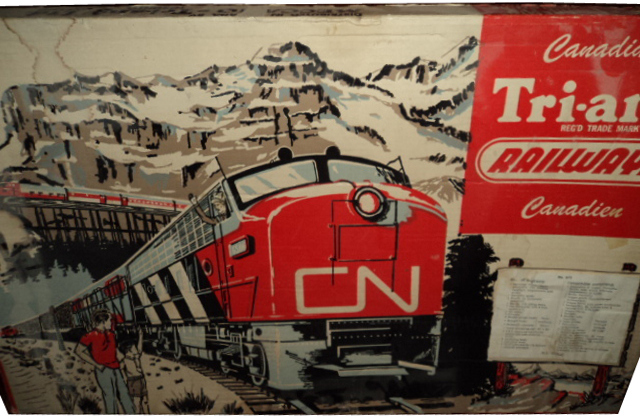 Again, this Special Train Set has the 1st Type (Original) 1965 style box lid which carries the 'NOW MADE IN CANADA' slogan above the locomotive; further evidence that these surplus, incorrectly inscribed box lids were utilised on some of the Special Train Sets. 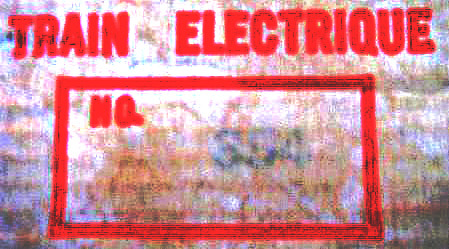 A faded blue, rubber-hand-stamped number '654' can just be seen inside the rectangular panel at the bottom left-hand corner of the box lid; confirming that the set is of Hudson’s Bay and Morgans origin. The Factory Memo No. 0511-I stated that the die-cut inner for Set No 654 was to be determined. In fact, it transpired that the inner tray that was eventually employed was identical to the Set CTS.1 inner tray. 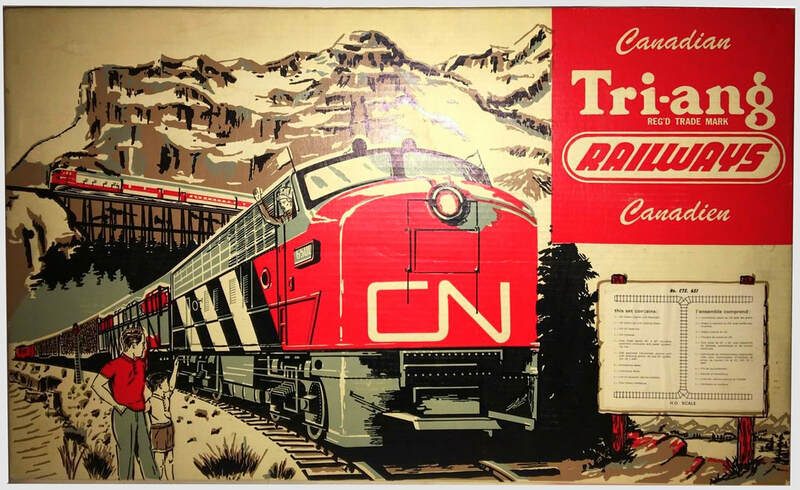 The CN Loco, CN Oil Tanker and CN Caboose were arranged along the top line of the inner tray with the CN Box Car and CN Stock/Cattle Car below.